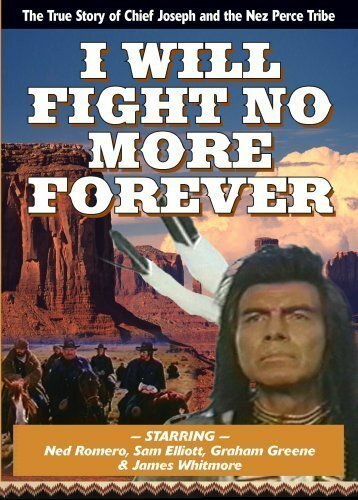 Produced by Emmy-winner David Wolper (Roots), I Will Fight No More Forever powerfully reenacts the heroic and tragic true story of Chief Joseph and the Nez Perce Indians, whose land in Oregon's Wallowa Valley was opened in 1877 to white settlement by President Ulysses S. Grant. The Nez Perce are given 30 days in which to relocate to the Lapwai Reservation. Chief Joseph (Ned Romero), a respected leader, initially advocates peace, but over the course of the grueling 1,700-mile journey. Joseph shrewdly outmaneuvers ten pursuing units of the U.S. Army. Outnumbered, sick, and starving, Joseph is finally to surrender. On October 8. 1877, he makes his noble speech, "From where the sun now stands, I will fight no more forever." Academy AwardÂ® nominee James Whitmore costars as compassionate General Oliver Howard, who is duty-bound to carry out orders he considers unjust. Sam Elliott also stars as his aide, Captain Wood.